4. Material: TP304, TP304L, TP304H, TP310, TP310S, TP310H, TP316, TP316L, TP316H, TP316Ti, TP317, TP317L, TP321, TP321H, TP347, TP347H, UNS N08904/904L; S31803, S32205/SAF2205, S32304, S32750/SAF2507; 1.4301, 1.4306, 1.4401, 1.4404, 1.4541, 1.4571, 1.4539, 1.4462，1.4410, etc. 5. 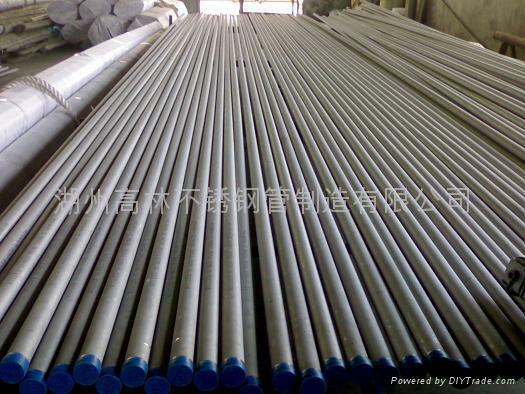 Specification: ASTM A312/213/269, ASTM A789/A790, ASTM B677, DIN 17456, DIN 17458, EN10216-5, ISO 1127, etc.